The Piotroski F-Score of Tiffany & Co. (TIF) is 6. A score of nine indicates a high value stock, while a score of one indicates a low value stock. To review the TIF previous performance, look at its past history, which highlighted below: ... Analysts' mean recommendation for Tiffany & Co.
Overview of Analyst's thoughts: Tiffany & Co. ... (TIF) reported gain 0.89% in recent buying and selling session with closing price of $ 107.12. 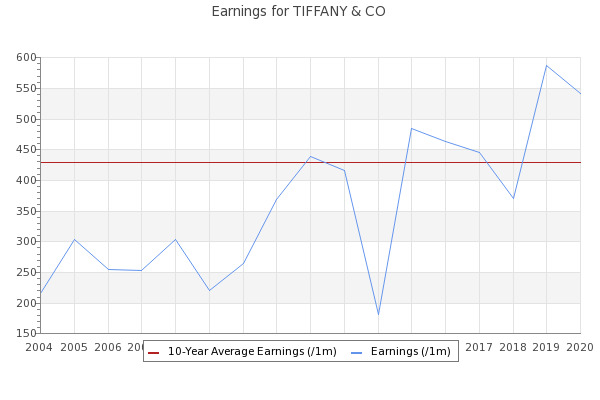 Tiffany & Co. (TIF) Solid Choice From Multiple Angles?